With the threat of an impending players’ strike looming, the Pittsburgh Steelers and Dallas Cowboys met in a first-week Monday night game on September 13, 1982. There were streaks on the line as the Steelers had beaten Dallas four straight times, including twice in Super Bowl meetings, while the Cowboys had won 18 consecutive season-opening games. Pittsburgh was entering its 14th season under Head Coach Chuck Noll, and four of those campaigns had ended with NFL Championships. However, the Steelers missed the postseason the previous two years, including 1981 when they broke even at 8-8. 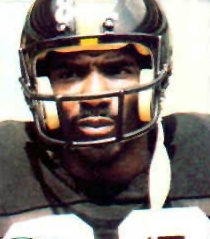 Many of the aging stalwarts of the title-winning years were still on the roster, including QB Terry Bradshaw, FB Franco Harris, WR John Stallworth (pictured above), LB Jack Ham, and CB Mel Blount. But DT “Mean Joe” Greene had retired and MLB Jack Lambert was injured and would be replaced by David Little, one of several rookies debuting on defense. The Cowboys were coached by Tom Landry, as they had been since 1960, and coming off back-to-back 12-4 seasons that had concluded with losses in the NFC title game. QB Danny White was solid, if not spectacular, and there were dependable targets in wide receivers Tony Hill and Drew Pearson plus tight ends Billy Joe DuPree and Doug Cosbie. RB Tony Dorsett was coming off of a 1646-yard rushing season that nearly topped the NFL. The defense remained tough from front to back, even with the retirements of SS Charlie Waters and OLB D.D. Lewis. There were 63,431 fans in attendance for the nationally-televised contest at Texas Stadium with the game-time temperature at 85 degrees. On the opening kickoff, DB Fred Bohannon of the Steelers fumbled after returning it 33 yards and the Cowboys recovered at the Pittsburgh 41. However, after driving to the 15, they turned the ball over when an errant handoff was recovered by David Little. The Steelers struck back, gaining 26 yards on three plays before Terry Bradshaw threw to John Stallworth for a 48-yard pickup to the Dallas six yard line. A running play lost yardage, but Bradshaw again connected with Stallworth, this time in the corner of the end zone where he outmaneuvered CB Dennis Thurman for an eight-yard touchdown. The extra point attempt failed when rookie holder Rick Woods muffed the snap, but the visitors held the early lead. The Cowboys advanced 66 yards in eight plays that featured Danny White falling at one point but recovering to throw to Doug Cosbie for a 30-yard gain. The drive ended with White passing to Drew Pearson for a four-yard TD and, with Rafael Septien successfully converting, the home team was up by 7-6. Pittsburgh responded with a nine-play, 61-yard series that stretched into the second quarter. It concluded with Bradshaw firing a pass to WR Jim Smith, who made a diving catch in the end zone for a seven-yard touchdown. Gary Anderson, appearing in his first regular season game, was successful on the point after this time and the visitors were back on top by 13-7. Dallas came back with an 80-yard drive in 10 plays. Facing third-and-two at the Pittsburgh 12, a scrambling White connected with Cosbie in the end zone for a TD. Septien booted the extra point and the Cowboys led by 14-13. Each club had a chance to add three points before the end of the half, but Septien missed wide on a 52-yard field goal attempt and Anderson’s 35-yard try for the Steelers was blocked by DT John Dutton. Dallas maintained a one-point edge at halftime. On the first possession of the third quarter, the Cowboys were forced to punt from their 16. DE Keith Willis charged in from the left side to block Danny White’s kick and Pittsburgh took possession at the 19. Five plays later, Thurman was called for pass interference at the goal line and RB Frank Pollard powered in from the one for a touchdown. Anderson added the extra point and the visitors were in front by 20-14. On the next Dallas possession, a third down pass by White was deflected and intercepted by Rick Woods, playing at safety, who returned it 12 yards to the Dallas 35. The Steelers took five plays to reach the end zone as Franco Harris started off with an eight-yard carry and Pollard ran 11 yards around end. Bradshaw threw to Jim Smith for a 15-yard TD and Anderson converted to extend the lead to 27-14. Three plays into the next Cowboy series, White was again picked off, this time by Jack Ham. Bradshaw threw to Stallworth for a gain of 21 yards but the Pittsburgh drive was halted short of a touchdown this time, although Anderson booted a 26-yard field goal. Down by a point at the half, the Steelers were now ahead by 30-14. The Cowboys went three-and-out on the ensuing possession and punted from their 21. Taking over at the Dallas 48, Pittsburgh advanced 22 yards and, early in the fourth quarter, Anderson added a 43-yard field goal to expand the lead to 33-14. Now in a deep hole, the Cowboys fought back on a five-play, 76-yard drive that concluded with White throwing long for Tony Hill (pictured at left) and a 45-yard touchdown. Septien converted to make the score 33-21. The Cowboys regained possession at their 32 and White connected with Cosbie for a 26-yard gain and, on a trick play, White tossed the ball to Pearson who fired long to Hill for 26 yards to the Pittsburgh 15. A pass by White to Hill in the end zone was dropped but the Steelers were penalized for illegal contact. Now with a first down at the Pittsburgh 10, an offside penalty moved the ball five yards further and White tossed another scoring pass, this time to Billy Joe DuPree. The Pittsburgh lead was narrowed to 33-28 with 5:47 remaining in regulation. The Steelers, needing to run the clock down, put together a long drive of 49 yards in 10 plays that featured Bradshaw connecting with RB/WR Greg Hawthorne for 22 yards on a first-and-20 play following a holding penalty and with TE Bennie Cunningham for a three-yard completion to convert a third-and-three situation at the Dallas 36. After three running plays, Anderson came in kick a 40-yard field goal that clinched the 36-28 win for Pittsburgh. Dallas accumulated more total yards (436 to 388) and first downs (28 to 23). However, the Cowboys also turned the ball over four times, to one by the Steelers, and in the crucial third quarter that was the key to Pittsburgh building a big lead. The Steelers also recorded three sacks, to one for Dallas, but were penalized eight times while three flags were thrown on the Cowboys. 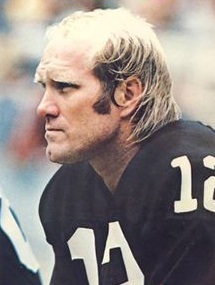 Terry Bradshaw (pictured at right) completed 17 of 28 passes for 246 yards and three touchdowns while giving up no interceptions. John Stallworth had a big night with 7 catches for 137 yards and a TD. Jim Smith caught two passes for 22 yards and both were good for touchdowns. Franco Harris rushed for 103 yards on 24 carries, the fortieth hundred-yard game of his career, and also had three pass receptions for 29 yards. For the Cowboys, Danny White was successful on 25 of 36 throws for 347 yards and four TDs while being intercepted twice. Two receivers reached the hundred yard threshold with Tony Hill pulling in 6 passes for 130 yards and a touchdown and Doug Cosbie caught 5 for 102 yards and a score. 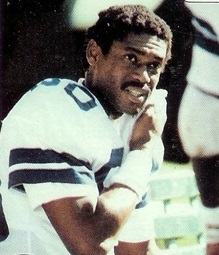 Tony Dorsett topped the club with 30 yards on 11 rushing attempts and also had 5 receptions for 44 yards. Both teams won the following week, after which the players’ strike materialized and wiped out the next two months. When they returned to action in November, each went on to finish at 6-3 in the abbreviated season. With divisions eliminated for the year, for Pittsburgh that meant a fourth-place ranking in the AFC. The Steelers lost to San Diego in the first round of the resulting postseason tournament. Dallas was second in the NFC and again reached the NFC Championship game, losing to the Washington Redskins.